THERE’S no better way to celebrate Waffle Day than to eat a plateful of these sweet and savory treats. The best part? You can enjoy them with your choice of syrup and favorite toppings—or even with fried chicken! So with that in mind, we’ve rounded up some of the go-to places in Cebu where you can devour these golden goodies. Abaca Baking Company is famous for its coffee, pastries and all-day breakfast dining. 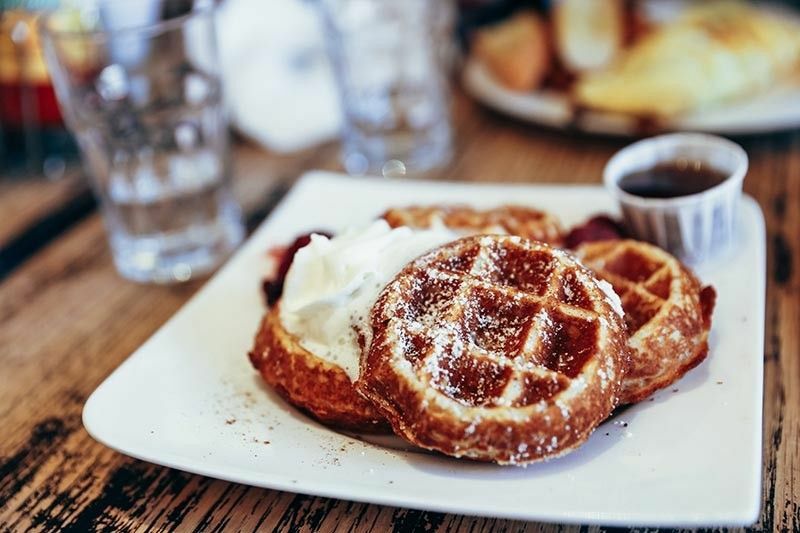 While there are many scrumptious food to choose from on its menu, Abaca’s buttermilk waffle is worth a try. One can choose to have the waffle served with banana pecan or fresh fruits. For something that’s more filling for the stomach, one can order their chicken and waffle, which is as equally good and scrumptious. There’s nothing better than devouring waffles for breakfast or any time for that matter. Birdseed Breakfast Club + Café serves one of the best waffles in town. The buttermilk waffles with maple butter is just heavenly. One can choose to serve it with spiced maple, strawberry or blueberry syrup. Another delectable item on the menu is the buttermilk fried chicken and waffles. It’s the perfect pairing of crispy golden buttermilk waffle and southern fried chicken with hints of rosemary, thyme and spiced maple. This unassuming coffee shop serves one of the most tempting waffles for breakfast. The Brown Cup’s breakfast menu allows one to choose between pancake, french toast, waffle, toasted bread or rice. The waffle, of course, is a recommended choice. The breakfast sets are served with a choice of spam and eggs, ham and eggs, bacon and eggs, sausage and eggs, chorizo and eggs, or corned beef and eggs. One can even have these served with brewed coffee, iced tea or hot chocolate. Although named after pancakes, the Pancake House is also known for its waffles. With an array of pancake choices, its waffles have a few selections too, that are as delightful. Its bacon waffle is served with delectable bacon bits inside a crispy golden waffle. Another favorite is its caramel banana walnut waffle. It’s a golden waffle with chopped walnuts and banana slices served with maple syrup. Other waffle choices are cheese waffle, chocolate marble waffle and golden brown waffle. For a quick waffle fix, Famous Belgian Waffle is one’s best choice. The brand is well-known for being the first and original waffle sandwich in the Philippines that uses premium fillings. Think chocolate, cream cheese or blueberry; even the simplest ingredients can make a huge difference. 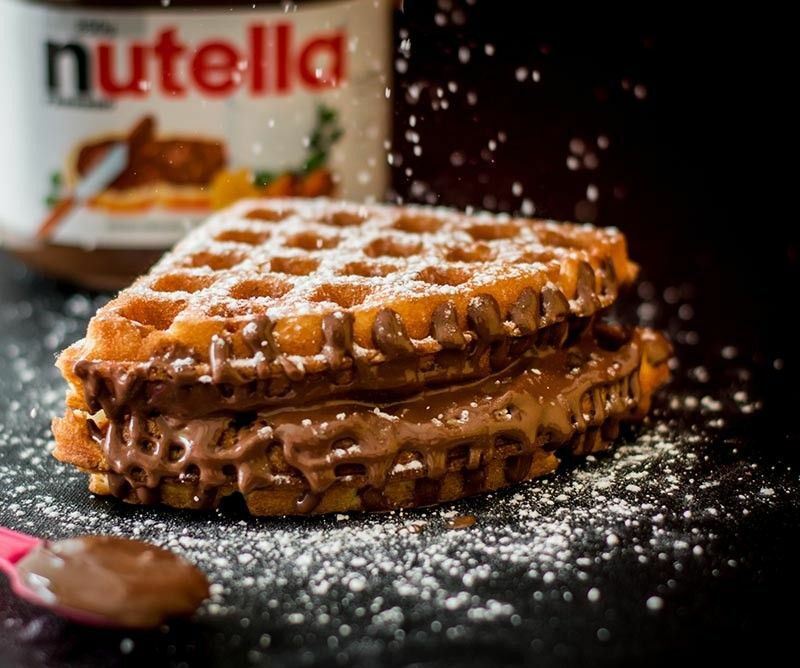 Famous Belgian Waffle also has perfect combinations on its menu. Its must-tries are the chocolate peanut butter, banana hazelnut and blueberry cream cheese.